Henri Nouwen's spiritual walk was travelled on the road to Richmond Hill after two decades teaching in the Ivy Leagues. Learn more about his life and works through the words of Karen Pascall, Executive Director of the Henri Nouwen Society in Toronto. At first, I was surprised to find out that Henri Nouwen—world renowned scholar, writer and theologian—is buried at St. Johns Cemetery, in a small churchyard in Richmond Hill, Ontario. I suspect that other Nouwen readers like myself might ask why this is his resting place. 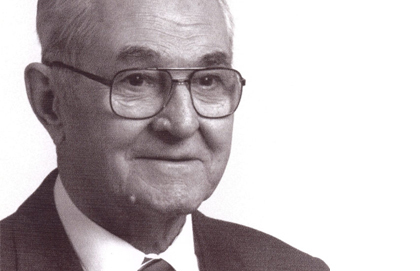 He was, after all, a luminary in the world of ethics, psychology and pastoral theology, a Catholic priest and one of the world’s foremost Christian authors. There must be someplace else he would have wanted to lie after his death in 1996. He was born and raised in the Netherlands and spent over two decades teaching at Notre Dame, Harvard and Yale. His international acclaim reached to far more dazzling places than this Toronto suburb. But if you look a little closer at the life and works of Henri Nouwen, his resting place makes perfect sense. The narrow path from Boston, where he taught the best and brightest of America, to L’Arche Daybreak, a small community of people with intellectual disabilities, is marked by some of the most significant spiritual experiences of his life. There, at L’Arche, he would experience a deeper sense of belonging in this community than he ever did in the hallways of success. It makes sense, then, that he would want to be buried beside a humble church in the Ontario suburb where he eventually found home. 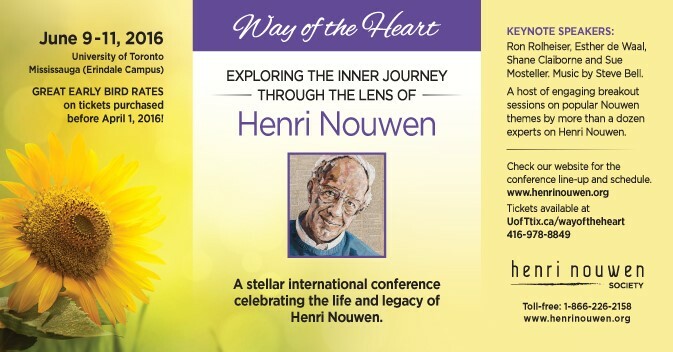 Karen Pascall, Executive Director of the Henri Nouwen Society—an international organization promoting the life and work of Nouwen—invited me to sit with her and talk about Henri’s journey from worldly success to personal belonging. This was the same journey that led him to suburban Canada, and ultimately, changed his life. Karen and I sat down in the sun-soaked common room of the Henri Nouwen Society head office just outside Queen’s Park in the heart of Toronto. We shared coffee and conversation at Henri’s desk—a large, square pine table where he wrote books such as Return of the Prodigal Son and The Way of the Heart. “I think what's interesting was that Daybreak did have something to offer him, it was completely new when he started there,” says Karen. Even if his new community members at L’Arche had known he wrote books, they likely wouldn’t have been able to read or appreciate him. His sense of belonging had nothing to do with the height of his success or the breadth of his achievements. “These people wanted him present. It didn't matter that he had written a book. It mattered that he was going to be home for dinner,” says Karen. Part of the organization’s mandate is to foster the practice of solitude that Nouwen wrote so often about. 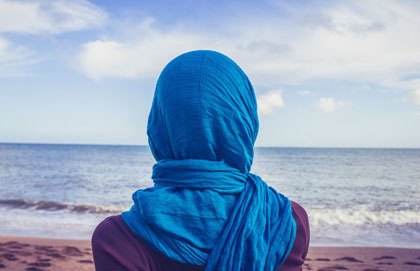 It was Nouwen who taught Karen the concept of solitude as a spiritual practice. On a broader level, the Henri Nouwen Society’s mandate is quite simple. “[Henri] wanted others to get what the love of God was. He got it. He wanted others to get that…He just want others to know about the love of God, that [he] discovered it in his life. That simple. So that's kind of our mandate, our mission. Help other people discover the love of God that Henri Nouwen had discovered in his life,” says Karen. Karen likes to think of her job as offering people an appetizing meal. Karen herself discovered Nouwen through a book recommendation. “I would always ask people who inspired me, ‘what are you reading?’ Because you always wonder what kind of stuff inspires you? What makes you think the way you think? That's how I found my way to Henri,” she says. And you can tell by the way she speaks about Nouwen, that she is truly grateful she eventually found her way to him. All these years later, sitting at his desk, she smiles and sips her coffee with a peace that makes me think that she’s indeed discovered God’s love the way Henri would have wanted. 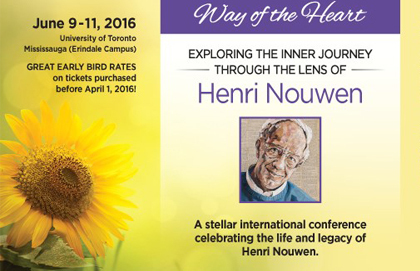 The Henri Nouwen Society is hosting Way of the Heart, an international conference on the life and work of Henri at University of Toronto Mississauga campus from June 9-11. If you’re interested in purchasing tickets, please register today. 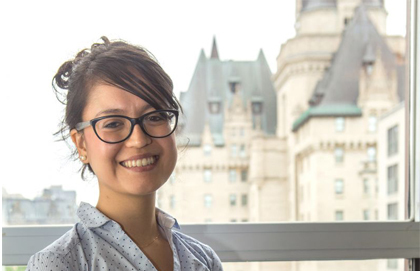 Thana de Campos, Brazillian academic living in Ottawa, Ontario, discovered God while studying at Oxford. Read her story here.